The Howell Rotary Club celebrated 90 years of continuous involvement and solid tradition in the Howell community on Monday, May 5, at a luncheon meeting in the First National Bank 3rd Floor Community Room. 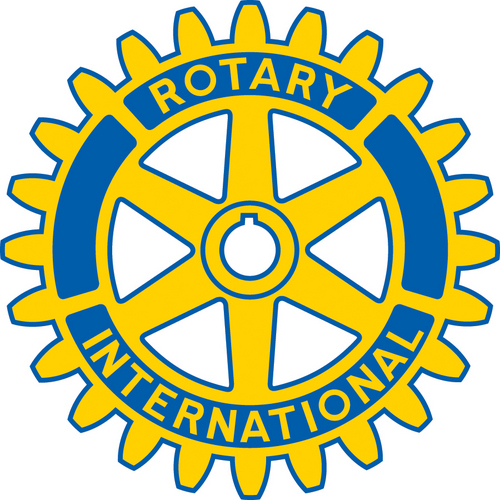 The Howell Rotary Club was chartered on May 5, 1924, with 17 members. John S. Page, Superintendent of Howell Public Schools, led the initiative to form a Rotary Club in Howell. One of the club’s first initiatives was to assist crippled children in the Howell community with a clinic and special children’s events. This initiative continued into the 1950s. The club has planted dozens of trees in the Howell City Park by Thompson Lake in memory of deceased Rotarians, for future generations to enjoy. Over its history the club has provided playground equipment and other improvements to city parks. Howell Rotary members built a picnic shelter and the rest room facility at the Thompson Lake Park and had a gazebo built at the West Street Park. The Howell Rotary and its members have actively participated in many community projects, including the building of the hospital, the recreation center, the library expansion and the Aquatics Center. The club hosted the first exchange student in the county in 1951. For years, the club and its members have actively supported The Salvation Army with holiday bell-ringing, the Big Brothers/Big Sisters Bowl for Kids Sake, OLHSA’s Walk for Warmth and other charitable initiatives. Each year the Howell Rotary presents the Ladner/Christopherson $1,000 scholarship to a deserving Howell High School Senior. In 2001 the Interact Club at Howell High School was formed to encourage community service by students. It is now the largest club at the high school, with 150 members. Recently a second Interact Club was formed at Parker Middle School. As youth leadership is a priority, the club holds the charter to both Boy Scout Troop 362 and Cub Scout Pack 365. Keeping a long-time Howell tradition alive, the club now produces and sells the original recipe melon ice cream on the courthouse lawn during the Howell Melon Festival. Proceeds from this event support local youth initiatives. In 2008, the club started the Howell Rotary’s Tour de Livingston, a bicycle tour throughout Livingston County and Ann Arbor. Proceeds from the ride are donated to the Livingston County United Way to be used specifically for basic needs of county residents. Since 2008, over $137,000 has been donated. The Howell Rotary Club meets every Monday at the Board of Education meeting room at Howell Public Schools, 411 N. Highlander Way. For more information about the club or membership opportunities, contact Pat Convery at 517-546-3920, or pconvery@howell.org.